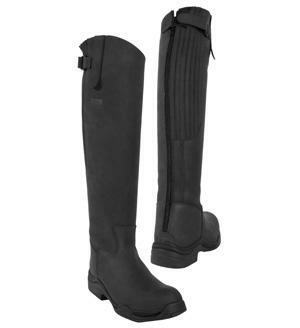 The Toggi Calgary boot is an award winning stylish, superior long nu-buck leather riding boot. The full length YKK zip and elasticated panels on the back of the boot are for ease with donning and doffing your boot, in addition to ensuring more flexibility in the leg is achieved while riding. Due to the lightweight, flexible PU sole, no compromise is made on safety while enjoying a day out on your horse or strolling through the country side. We have one pair of wide fitting Calgary boots left in size 38, if you are interested in this pair, please call Sara on 01494 775577. 6. Finally, we recommend you use Nikwax products to enhance the performance of your boots. PLEASE TAKE CARE WHEN ORDERING THESE JODHPURS. THEY ARE MADE TO MEASURE AND THEREFORE NON-RETURNABLE. This striking range of jodhpurs is made from the Gorringe 400 fabric, a smooth faced 100% nylon. The jodhpurs have belt loops and combine some of the most fashionable colours in riding. Regular inside leg measurements shown. Short leg is 2 inches shorter and long is 2 inches longer. These can be ordered by telephone.